What type of rutting is shown in picture below? What is typical for mode 1 rutting? 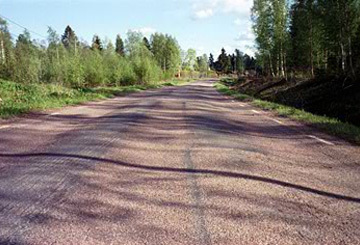 The narrow depression in the road surface relative to the original surface. The small diameter net cracking in overlaying asphalt. 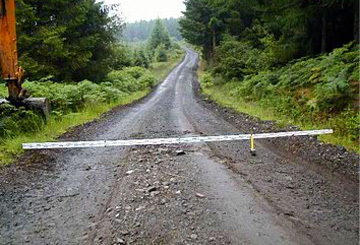 It is related mainly to the wear of the pavement due to studded tyres. What is typical for mode 2 rutting? It occurs because of depression of the subgrade. Steel nets are never possible improvement method. 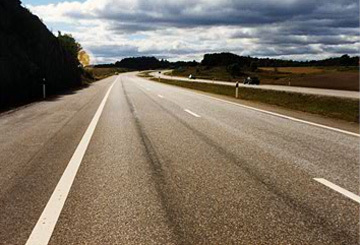 It is only present on roads where the AADT is more than 3000 vehicles per day. 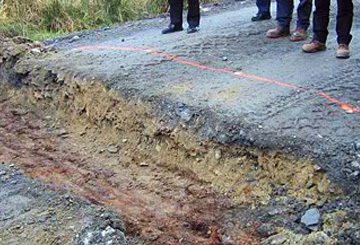 The quality of road structure materials has no effect on permanent deformation, because permanent deformation mostly takes place in subgrade. Mode 0 rutting takes place mainly in the unbound base course after construction and after a freeze-thaw cycle. Mode 3 rutting occurs when the wearing course material does not have enough fines to bind the aggregates together. 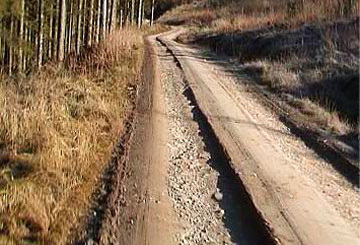 Good results cannot be obtained by treating the subgrade of a road with Mode 1 rutting with traditional stabilizers, because Mode 1 rutting problems are usually caused by a weak subgrade. Pumping is a big problem on weak roads built on peat or silty subgrade. High frost heave increases pumping problems. Even low repeated loads can cause pumping. A thin pavement or surface dressing prevents pumping problems. What type of rutting is shown in the picture below?